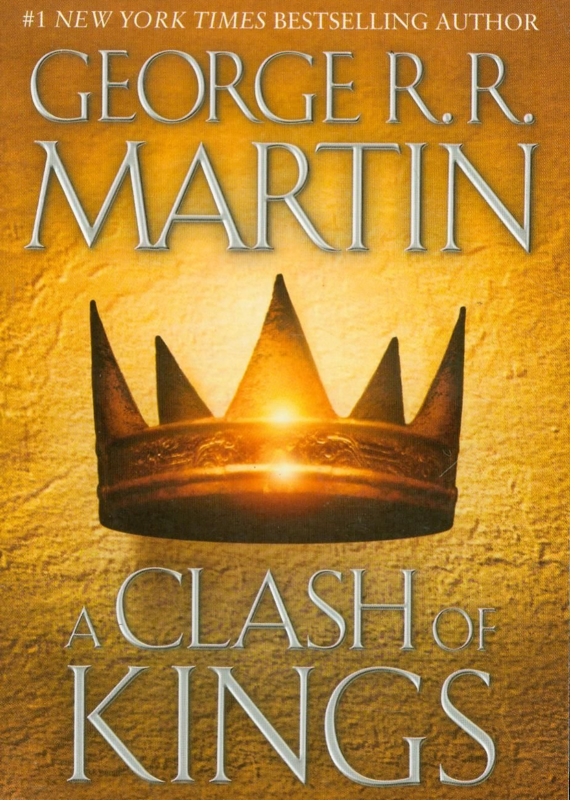 A Clash of Kings is the sequel to A Game of Thrones. Like in A Game of Thrones, this epic story continues being told from the point-of-view of certain characters. We also get to read point-of-view chapters from new characters introduced in this book, as well as characters that were already introduced but were never given their own specific point-of-view chapters in A Game of Thrones. A Game of Thrones was merely an introduction to this great fantasy world. Once knowing the world, and it’s interesting array of characters (fairly large one, I would say), A Clash of Kings definitely felt like a much more past-paced novel. This book is a really good book, and I enjoyed it more so than A Game of Thrones. I complained about the lack of traditional fantasy elements like faeries and mythical creatures in A Game of Thrones. Without going into any spoilers, in this book magic is finally introduced, as well as dragons! Another aspect of this book that I really enjoyed was the character development. There were certain characters from A Game of Thrones that I thought were good buys, but in A Clash of Kings they ended up being bad, and vice versa. The world of A Song of Ice and Fire is such an immersive universe, I constantly found myself thinking about the world and of the characters in the story when I’m not reading the book. Which to me, is what a really good book should do. George R.R. Martin has done a fantastic job in the continuing world building process of his amazing secondary world.